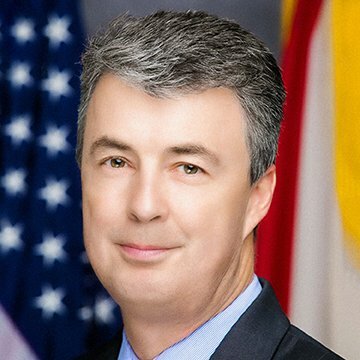 Attorney Gen. Steve Marshall announced that a federal judge’s favorable initial ruling in a voting rights lawsuit against the State of Alabama’s congressional redistricting plan means there will be no change in Alabama’s congressional district map for the upcoming 2020 U.S. House elections. The plaintiffs in Chestnut v. Merrill, an action filed in the U.S. District Court for the Northern District of Alabama, alleged that the Voting Rights Act requires Alabama to draw a new congressional redistricting plan that includes two majority-black districts. Plaintiffs argued that the litigation should be rushed so that new districts could be in place for the 2020 congressional elections. The attorney general questioned whether two majority-black districts can be drawn in Alabama without splitting important communities of interest or engaging in unconstitutional racial gerrymandering. The federal court’s order addressed the attorney general’s arguments that the plaintiffs waited too long to file suit. The challenged districts have been in place since 2011, but the plaintiffs waited until 2018 to file suit, after the challenged districts were used in four elections, and just two years before the next census, which will require the Alabama Legislature to draw new districts. The district court agreed that back-to-back redistricting would prejudice the state and that Alabama can use the existing districts in the next election. The plaintiffs’ remaining claim for a declaratory judgment will go forward, but the district court ruled that the plaintiffs’ claim for injunctive relief is barred.